Last year I wrote a post on how – if architects wanted to get involved with facilitating a market economy of publicly-funded schooling – some of their thinking could have quite pernicious effects. This follow-up post is less architectural but still kind of related: the idea of architecture as ‘adding value’ to a school’s competitive offer is one that blends seamlessly with the logic of advertising. Manchester Academy – airside, just before immigration at Manchester Airport. An interesting (profitable?) 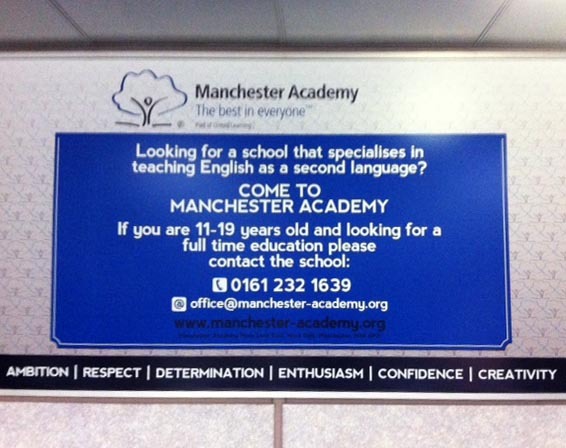 place to advertise a school that ‘specialises in teaching English as a second language’. 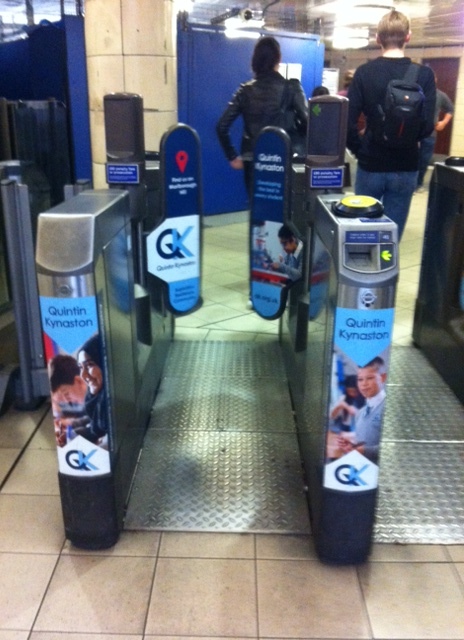 Now that schools are advertising for students-as-customers (and these are publicly-funded schools remember! 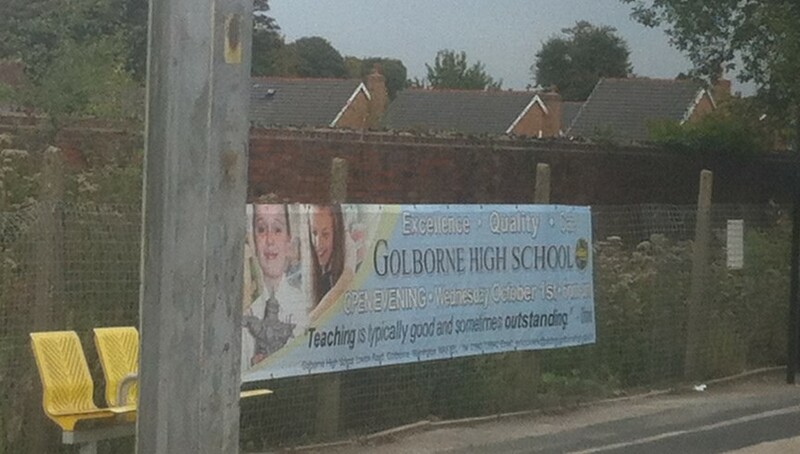 ), I wonder how much the spend is on school marketing, what bits of the curriculum (or staff) disappear as this money gets diverted into making a pretty billboard, whether this happens in other countries too, and where this game of constant one-upmanship might end.